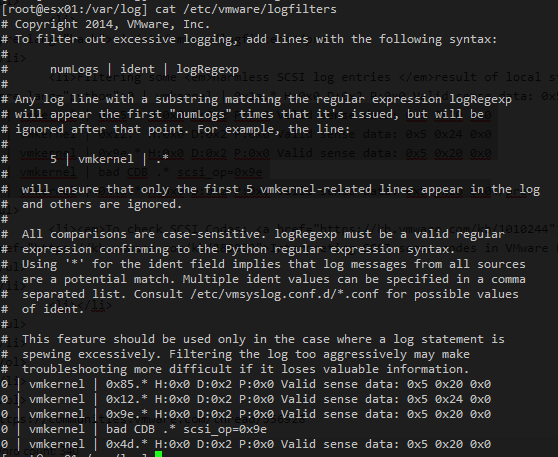 In our Homelabs, or even in production environments, we always have some harmless log entries that we would be happy to stop them from filling up our logs. 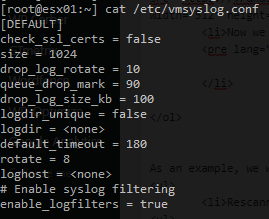 In ESXi 6.x, VMware introduced the ability to filter or exclude log entries from the system logs using regular expressions (Filtering logs in VMware vSphere ESXi (2118562)). Log in to the ESXi via SSH or console, using a user with root privileges.